Come back as we line up and announce next year's fabulous performers! 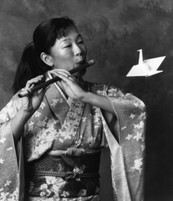 Using origami, music and audience participation, storyteller Kuniko Yamamoto brings Japanese culture to life. In “Origami Tales,” mythological character masks & puppets, amazing flowers and a dragon–all made from origami–set the stage while Kuniko shares stories from ancient Japan. Based on the fairy tale by the Brothers Grimm, this is the story of a spoiled and lonely princess who learns the value of friendship--and keeping promises! 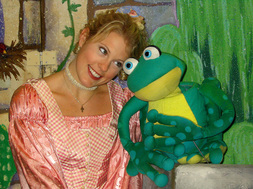 "The Frog Prince" features a cast of amphibian characters created by puppet master Terry Snyder. "The Mixed Up Fairy Tale"
You'll recognize pieces of your favorite fairy tales as you help Red Riding Hood break a spell and save Beauty from a hundred-year sleep. 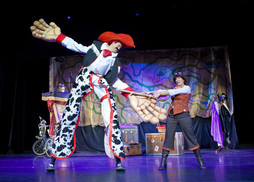 Enjoy Page Turner Adventure's unique combination of storytelling, circus skills, and physical comedy! Ojo is on a quest to save his uncle. Along the way he makes new friends, including the Patchwork Girl of Oz, and learns the importance of community. 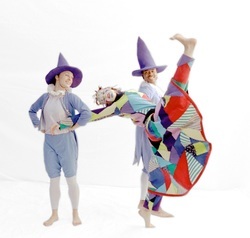 The Los Angeles Choreographers & Dancers use music, multimedia imagery and fantastical dances to bring L. Frank Baum's book to life. Feel the rhythm of the drum and embrace the spirit of The Healing Force! 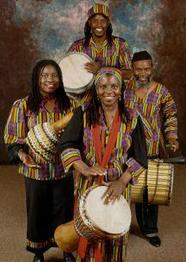 This family of singers, storytellers, and musicians celebrate African culture through drumming, singing, storytelling, and movement. 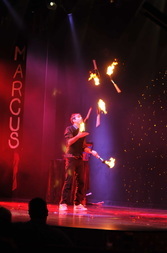 Marcus Monroe returns to Super Saturday in an act that he has taken across the country and around the world. Watch the "rock star of juggling" bring together juggling and comedy as he juggles pins, knives, and torches on the ground or while balancing atop a 9-foot high unicycle! 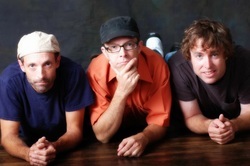 This power pop kid's band is the creation of three devoted dads who are also seasoned professional musicians with a love of KISS, Springsteen, Elvis Costello, and U2. Their high-energy interactive performance mixes alt rock, hip-hop, punk, and country with lyrics "primed for the sandbox set!" 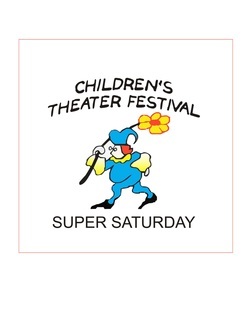 Super Saturday favorite Lynn Trefzger returns with her own special brand of humor and "vocal illusions." Dummies, puppets, inanimate objects, and unsuspecting audience members all become part of Lynn's unpredictable and wild world. 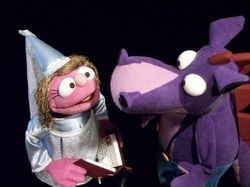 A princess befriends a dragon just as a famous dragon slayer arrives on the scene, sent by the king to protect his castle. Find out what happens in All Hands Production's version of Kenneth Grahame's classic story.